13-in. foam plastic block with bi-directional hanging hole. Brush face 8-in. 21/2-in. trim.Upswept, 81/8-in. 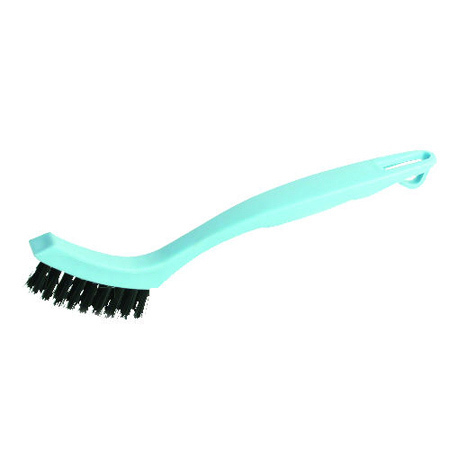 long handle works the crimped black nylon bristles into grout and crevices. Durable blue plastic handle. 7/8-in. trim.